Well would you look at that, there goes Mother’s Day. This year is flying by so fast, my head is nearly spinning. Before you know it, Father’s Day will be right around the corner. I don’t know about you, but every year I put a ton of energy into figuring out what to do for my mom, and by the time her holiday is over, I am completely out of gift and activity ideas for my other parent. Which I don’t think is very fair to my dad. He is, after all, a huge role model of mine and someone I love and respect very much. My other annual dilemma is that I often splurge so much on Mom, it leaves the budget rather tight for Dad. 1. BBQ Tools: My dad is nuts about grilling, and takes a lot of pride in his technique. BBQ tools are a great gift for a guy that loves to grill, especially paired with the dinner that you will grill with him on Father’s Day. Who said that the Father's Day dinner has to be crazy expensive? For a really budget-friendly BBQ dinner, string together some shish kabobs with mushrooms, bell peppers, onions, and marinated chicken. (Throw in fresh pineapple slices if you’re feeling wild.) If you’re willing to splurge just a little, go to Costco and buy dad a 6-pack of Hickory bacon wrapped sirloins. They’ll run you less than $5 apiece, but it’s still far less than you’d spend anywhere else. Hit up Costco’s chilled produce section for a $5 bundle of fresh asparagus to accompany the steaks on the grill. Best father’s day dinner, ever. 2. Cigar and then some: Not just any old cigar, mind you. A cigar that he’s going to smoke with you when the two of you go golfing. And taking dad golfing does not have to break the bank, either. I found this great website, GolfNow.com, which lists discounted tee times in every state in the US. When I plugged in my state and town, it came up with a dozen hits and included the name of the course, the tee time, the cost per person, and how much you save on the price (for example, 20%.) When I did my search I found discounts as low as 10% and as high as 40%. This is a great gift because it’s the gift of time, and I’m a big believer that experiences are better than material things, anyway. 3. Beer Gift Basket: My dad is a big beer fan, I’ll just come right out and say it. One idea which I’ve actually done before is to create a really fun, personalized beer gift basket for him. I bought him a new beer mug (I got it at a swap meet for less than $10, it’s the kind with the crystals in the outer edges so that when you put it in the freezer, the crystals freeze and keep the beverage incredibly chilled. It also has his favorite NFL team’s logo feature on the front.) Then, I catered the beers to my dad’s taste. Does your dad like lagers? Beers with a lot of hops? Ambers? Imports? One of my favorite places to go is honestly Trader Joe’s. They feature a wide variety of beers, for a really reasonable price, AND you can mix-and-match six or twelve packs. I’ve taken advantage of this perk many times, and it’s perfect for this idea specifically. Wrap everything up together, and voila. You’ve got one happy dad. 4. Personalized Mug and Breakfast: This one might sound a little corny, but we made one for my dad years ago and he still has it, and uses it. Walmart can do a custom picture one on side and a personalized message on the other for as little as $12. This is one of those things that you could buy, and use for his Father’s Day breakfast in bed (or, if your dad is like my dad, his breakfast in front of the TV in his Barcalounger watching Sports Center.) Make the eggs the way he likes them—over easy, poached, omelet style—and go all out on the meat. My mom never lets my dad eat as much bacon and sausage as he does on Father’s Day. If you REALLY want to win best son or daughter of the year, strong coffee and fresh squeezed orange juice will go a long way. Nothing says love like a glass of hand-squeezed fresh juice. 5. Golf Basket: Maybe you and your dad can’t find a time to golf together, or maybe you don't close enough to be able to golf together. That’s when this gift basket comes in handy. Pack it full of golf balls, tees, a visor, maybe a travel coffee mug with something golf-themed on the front, and anything else you can think of that he’d appreciate the day of golfing. Does he burn easily? Throw in some sunscreen. Does he chew gum or like to snack? Add a couple packs of gum or some individually wrapped cookies, pretzels, or chips. And you can still add a cigar here, just tell your dad to enjoy it solo until you can have one together. 6. Groupon Gifts: And last but not least, keep your eyes peeled on Groupon. In the past month alone, I’ve seen deals on doormats with MLB logos on them for under $25, half-off Whale watching tours, deals for kayaking day trips, and even an airsoft deal where dads can shoot objects with a BB gun in a competitive game. Even if Mom puts her foot down at that one, there are always deals to be had here, especially if you start looking and planning early, aka now. So there you have it, a few tips including some tried-and-true so that you can honor your dad the way he deserves on his big day, without breaking the bank. After all, wasn’t it your old man that taught you the value of saving money, spending wisely, and keeping your credit score in good shape? 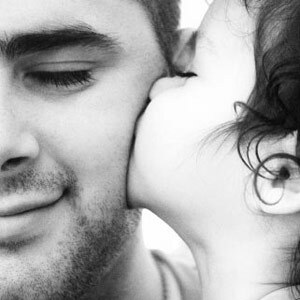 Let’s hear it for dads everywhere, and celebrate them with love… and with a budget. Dk loves to blog about all things finance. You can read more of his work at RoadFish.com.